Want to entertain and exercise the kids this holiday? Looking for good family entertainment? 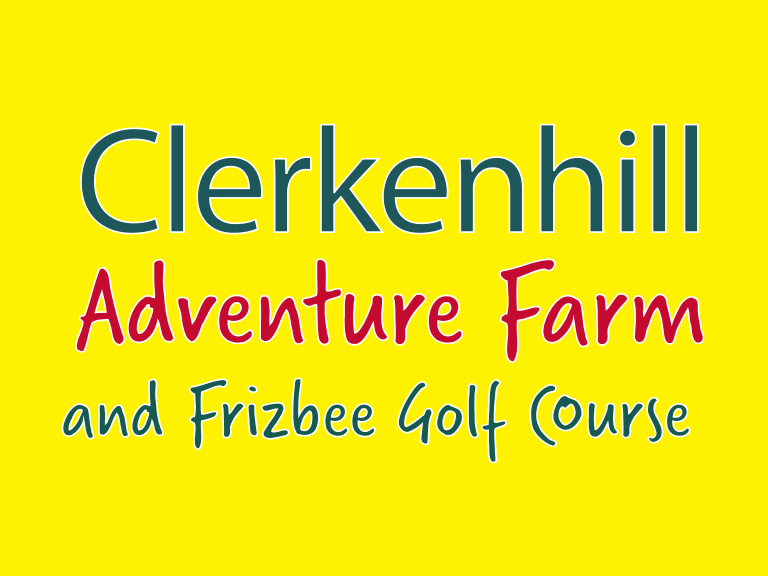 Clerkenhill Adventure Park and Frisbee Golf Course is a must for all the family. It is easy to find along the A40 just past the Narberth Roundabout and on towards Slebech. Look out for the signs the turning is on the left if coming from the East. There is plenty of parking. • There’s the Adventure Castle with hideouts, rope bridges, slides and climbing frames. This is definitely the place for all that excess energy!! • Plenty of animals to see from Pigs, Ponies, Goats and sheep not to mention the donkey. • Take a walk round the Adventure trail and enter the ‘Spooky Wood’ if you dare!! • There is also the Giant Walk, the Boggy Walk and the Potty Walk. • For the little ones there is an undercover Play area with small animals. And last but not least and just brilliant for all the family is the 18 hole Frizbee Golf Course. The winner can buy tea in the café – good idea eh?